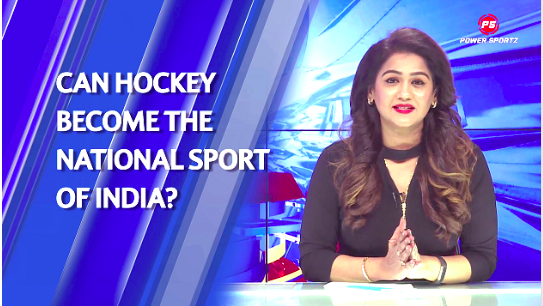 Will Kanthi D Suresh, Editor-in-chief, Power Sportz, take credit, if PM declares hockey as the National Sport? I don’t have any Agenda’, says Kanthi D Suresh, Editor-in-chief, Power Sportz, (www.powersportz.tv) visibly vexed at insinuations of creating hype for the sake of it. PowerSportz is India’s first Sports news & Journalism channel, and its Editor-in-Chief, Kanthi, is bold, fearless, and outspoken in her style of sports news broadcasting. Her show, Talking Turkey, it seems is unnerving and ruffling up some feathers. On 28th July this year, Kanthi, on her show, Talking Turkey, highlighted the family run fiefdom in the Amateur Kabaddi Federation of India.. Based on the facts brought to light, the Delhi High Court removed its President, Mr Janardhan Gehlot, and his wife, from the Federation on August 4ththis year. Kanthi’s next breakthrough came when she raised the issues governing transgender athletes, and the pronounced insensitivity in schools towards transgender persons. Now, The capital is seeing 30 schools take bold steps and has started a project called ‘Purple Board’ aimed at making education accessible for transgender and gender Non-conforming children by addressing transphobia and identifying and eliminating trans-bullying. It cannot always be a co-incidence’…’I’m sure she gets prior information’, are some voices doing the rounds, who like to believe that the topics she highlights are decided in cahoots with power centers. Her network amongst the powers that be in the Government, is a well known fact! Asked whether she would take credit if the Prime Minister, were to declare hockey as the national sport, as she had vehemently brought up the issue in one of her shows on Talking Turkey, she says, that her job is to only raise issues that concern athletes, and the sports fraternity, the rest is beyond her, and she would not exceed her brief! 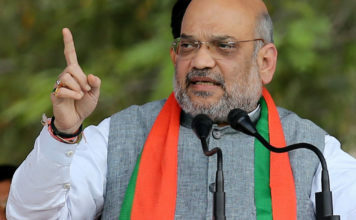 With the Hockey world cup being hosted in November this year In Orissa, one would not be surprised if hockey is announced as the national sport! Kanthi smiles and seems more relaxed when we ask about her plans for PowerSportz. While she is happy with the achievements till date of 2-3 lac users on a daily basis, with more than 1M views, everyday, she is certainly not resting on laurels, and informed us that she continues to forge ahead with ambitious plans for PowerSportz, including the launch of the App, and the start of the sales process as there is an interest being shown by large corporate houses. ‘Get ready for the mega app launch’, she exclaims, in her customary charm, and quintessential style!